OpTic Gaming Gears of War has added yet another trophy to their extensive portfolio of Gears of War event wins. 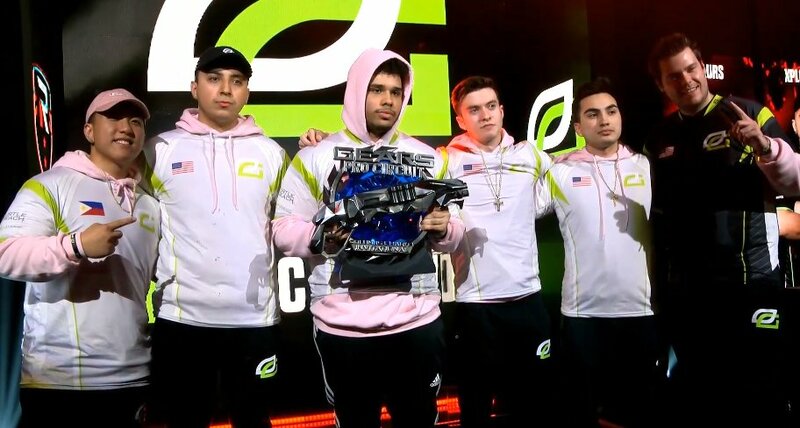 OpTic secured first place in the Gears of War Columbus Charity Invitational without losing a single map. The tournament took place November 16 through November 18 in Columbus, Ohio. In total the tournament boasted a $100,000 prize pool for players and a $100,000 prize pool for charity. The teams winnings were matched by a charity donation from Gears of War. Each team got to pick their own charity to donate to. By winning the tournament the team secures the first place prize of $40,000. OpTic Gaming decided to donate their portion of the charity winnings to the Breast Cancer Research Fund. This year alone the OpTic Gaming Gears of War team has won a total of $340,000 from 5 LAN tournaments alone. Previous placements in 2018 include a 1st place $100,000 finish at the Gears Pro Circuit San Diego 2018, a 1st place $100,000 at the Gears New Orleans Open 2018, a 4th place $20,000 finish at the Gears Pro Circuit Las Vegas Open 2018 and a 1st place $80,000 finish at the Gears Pro Circuit Mexico City Open 2018.